Renewable energy continues to surprise with much higher build outs and falling prices, and that growth is also good for high-grade silicon producers. 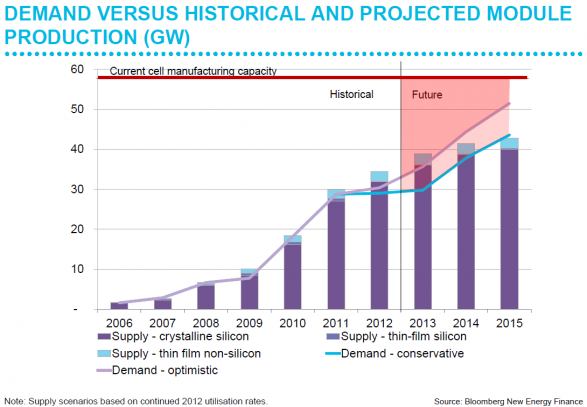 An infographic recently published on Visual.ly shows conservative and optimistic projected demand for silicon. Either scenario shows a steep move up. Solar-grade silicon accounts for just under half the material cost of constructing a photovoltaic cell's cost.